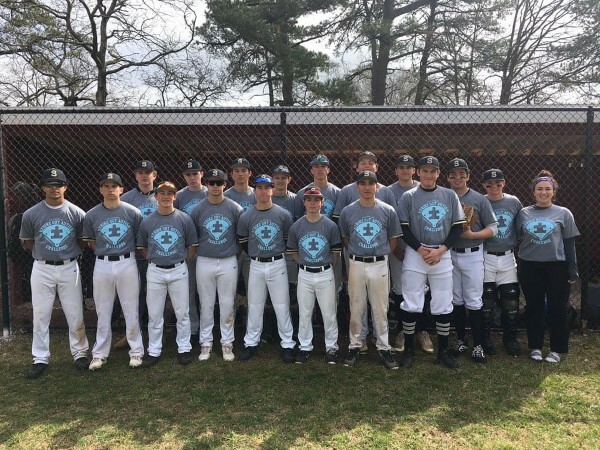 Congratulations Southern Baseball on defeating Central Regional 4-0 in the #StrikeOutAutism game on Saturday April 6, 2019. 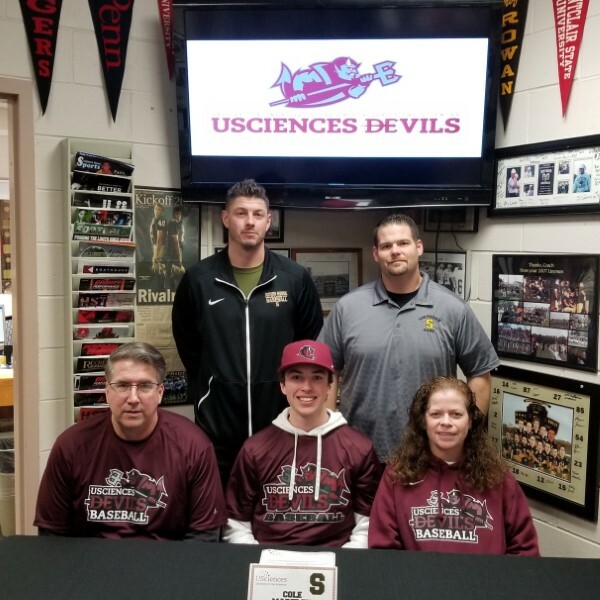 Congratulations Southern Regional Baseball player Cole Markley on his commitment to the University of the Sciences in Philadelphia, Pa to continue his academic and Baseball careers. 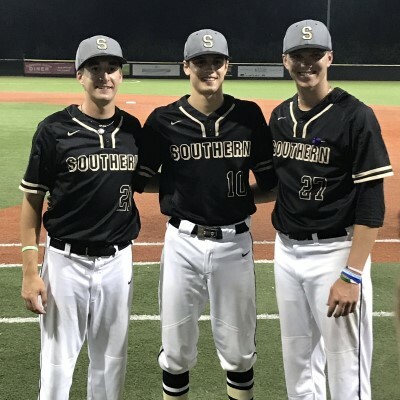 Thank you Southern Regional Senior Baseball players for all you have done for Southern. 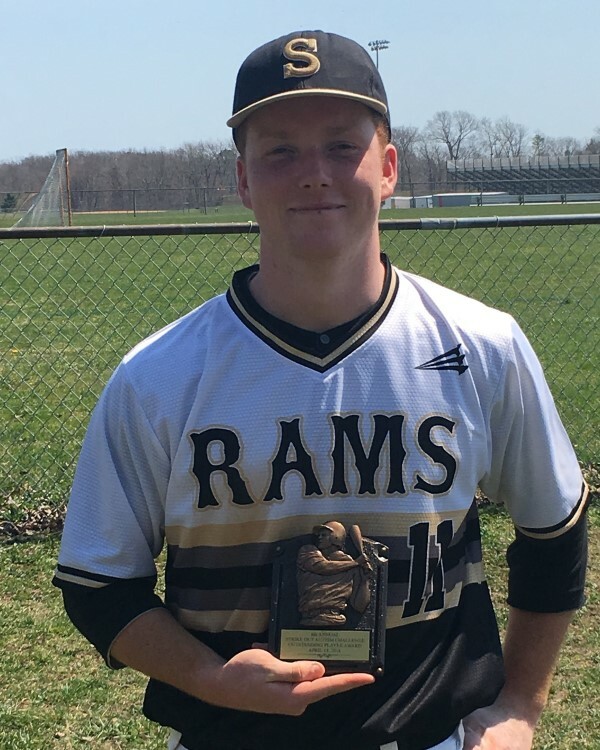 The Rams were defeated by Pinelands 6-5 in the 2018 Doc Cramer Classic on Thursday, May 24th. Good Luck Seniors! 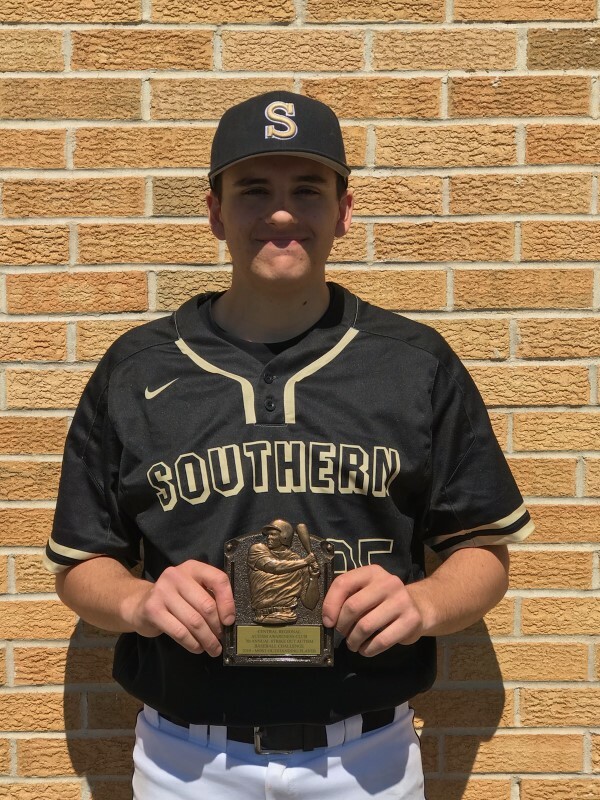 Congratulations Southern Baseball Senior player Joe Colonna on being named Game MVP for the Rams 12 to 5 victory over Piscataway on Saturday, April 14, 2018. 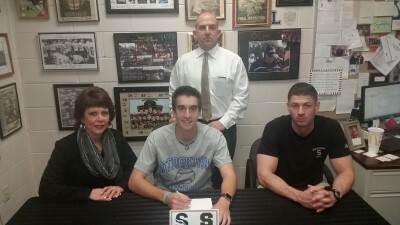 Congratulations Southern Regional Baseball player Andrew Luongo on your commitment to Stockton University. 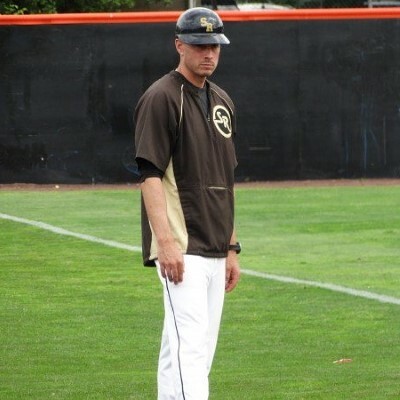 Congratulations Southern Regional Baseball Head Coach Keith Cocuzza on being named Shore Sports Network & Press of Atlantic City "Coach of the Year". 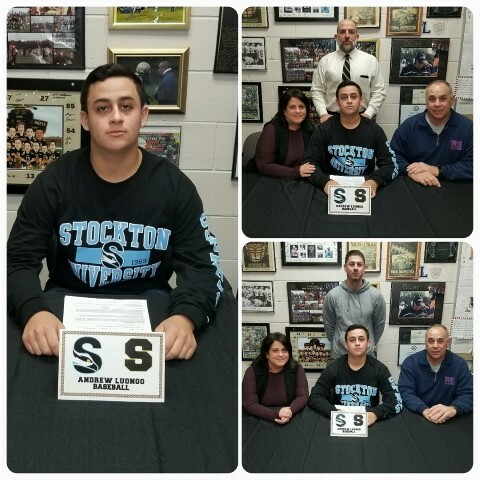 Congratulations Southern Regional Baseball player Zach Fillmore on his commitment to Stockton State University to continue his education and baseball career. Before the 2016 Doc Cramer Classic Varsity Baseball game on Thursday, May 19 2016, Southern Regional honored our Senior players. 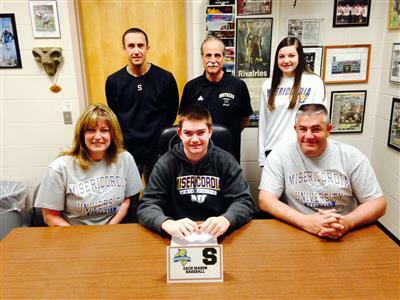 Congratulations Southern Regional Baseball Alum Zach Mason on being named Athlete of the Month for April 2016 at Misericordia University. 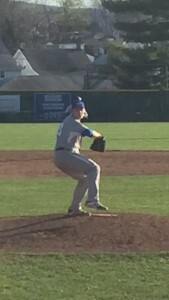 Congratulations Southern Baseball Alum Zach Mason, current Misericordia University Pitcher, on being named MAC Freedom Conference Pitcher of the Week. 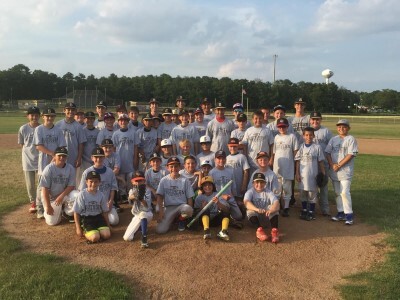 Thank you and great job to all athletes, players, coaches and parents on making the 2015 Southern Baseball Camp a success during the week of July 6th thru the 9th this summer. 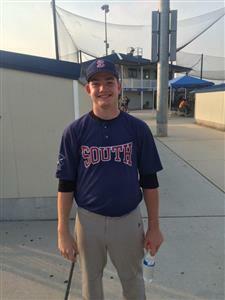 Congrats to 2015 Southern Regional Senior Baseball player Zach Mason on being selected to play in the All Shore All Star game last night (Tuesday, June 9th) at Blueclaws Stadium Lakewood BlueClaws. Congratulations to the Southern Regional Baseball Team on defeating Pinelands in the Annual Doc Cramer Classic Game 2-1. 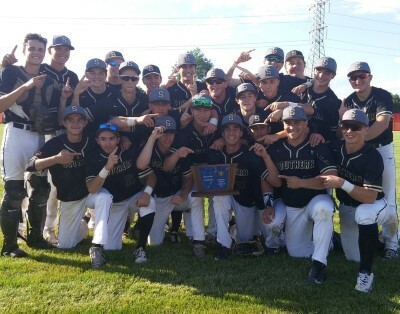 The Southern Regional Baseball team will received the #16 seed in the 2015 Ocean County Tournament. 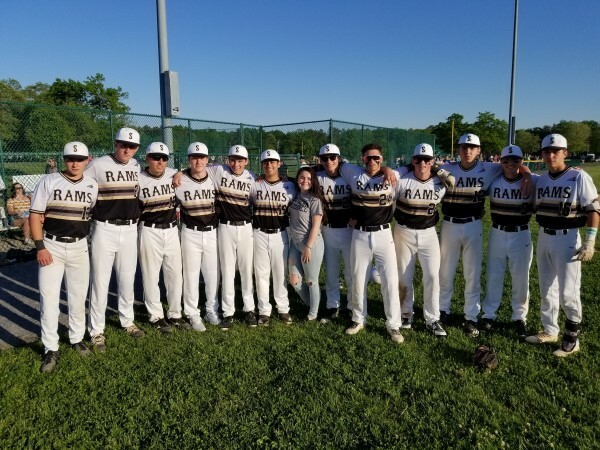 The Rams will play Lakewood High School on Saturday, May 2nd at TR North High School at 2:30 pm. Winner of the Southern/Lakewood Play in Game will face #1 seed TR North at 6pm at TR North High School. Attached is a tournament bracket for your review. Go Rams! Attached are Southern Regional Baseball Shore Conference Tournament Brackets for both the JV & Freshmen teams for the 2015 season. The Freshmen team will play their 1st round game on Friday, May 1st at Shore Regional at 4:30 pm. The JV has a TBA for their play in round vs Jackson Memorial. Please check back at athletics.srsd.net (Click schedule) for game information. Congrats to the Southern Regional Baseball Team on defeating Mater Dei 12-5 in the POAC "Strike Out Autism" game at Central Regional. Attached is the schedule for the 2015 Strike Out Autism Baseball Challenge which will be held throughout the Shore Conference on Saturday, April 18th. The Rams will play Mater Dei at Central Regional High School at 3pm. Please come out and support the event. Attached is a 1st round game for the Southern Regional Freshmen Baseball team. The Rams will travel to Freehold Twp. on Saturday, May 3rd at 1:30 pm. Attached is a Shore Conference Freshmen Baseball Tournament Bracket. Good Luck Rams! Attached is information on the 2014 Ocean County JV Invitational Baseball Tournament. Southern received the #10 seed and will travel to #7 seed Red Bank Regional. The 1st round game must be played by Saturday, May 3rd. Please check our schedules on athletics.srsd.net for game time information. Good Luck Rams! Please support Southern Baseball and participate in an Applebee's Flap Jack fundraiser on Sunday, March 30, 2014 at Applebee's (Route 72 East) in Manahawkin, NJ. Tickets cost $10.00. Please see attachment for contact information. Attached are the two Items that were handed out at the Baseball Meeting on Wednesday, October 30, 2013. There will be a meeting for anyone who is interested in trying out for Baseball on Wednesday October 30, 2013 @ 2:20 in Room 107 of the 11/12 Building. 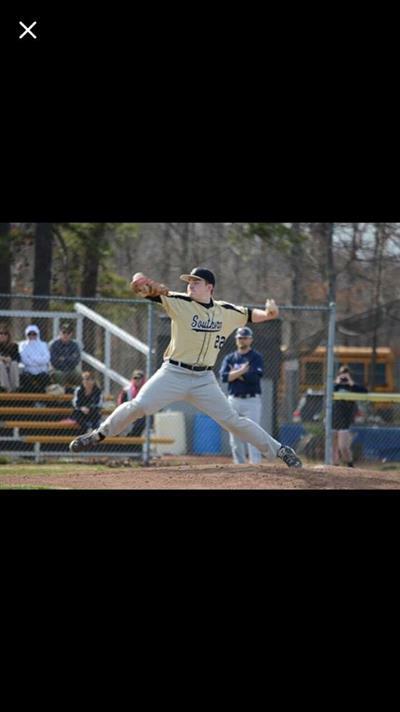 Congratulations to Senior SRHS Baseball players, Mark Heslin & Ethan Rutter on playing in the 2013 New Jersey State All Star game. 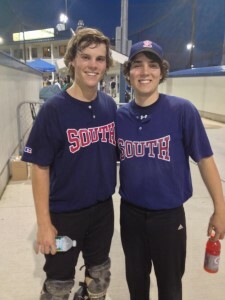 Both players played for the South squad. 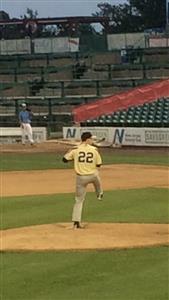 The game was played at Diamond Nation in Flemington, NJ on Monday, June 17th. On Saturday, May 18, 2013 Southern Baseball hosted the 1st Annual Ram Diamond Classic. The Classic was previously rained out 3 times during the season. The Classic was previously rained out 3 times during the season. Teams participating were Southern, Pinelands, Cedar Creek & Colts Neck. SRHS Athletic Hall of Fame Coach & former teacher Mr. Gary De Witt threw out the first pitch at the Opening Ceremony. Coach De Witt was the Head Coach at Southern and coached 1967 NJSIAA Central Jersey Group II champions. 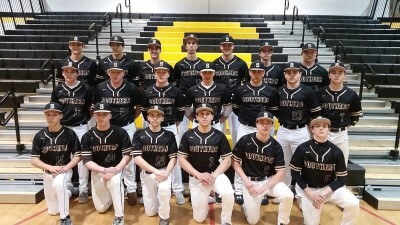 The Southern Varsity Baseball team received the #14 seed and will travel to #3 Seed Brick Twp. on Saturday, May 4, 2013 at 3 pm in the 1st round of the Ocean County Tournament. Attached is a complete bracket. Good Luck Rams! Attached are the brackets for the 2013 Freshmen & JV Shore Conference Baseball Tournaments that are sponsored by Brick Twp. High School. The JV team received the #9 seed and will travel to #8 seed Brick Twp. on Friday, May 3rd. The freshmen team received the #12 seed and will travel to #4 seeded Jackson Liberty on or before Saturday 5/4/13. Good Luck Rams! Attached is information on the 1st Annual “Ram Diamond Classic” which is a varsity baseball doubleheader tournament which will be held on Saturday, April 13, 2013 at Southern Regional High School in Manahawkin, NJ. For all players interested in trying out for Baseball, Conditioning Workouts will be on Mondays and Thursdays starting November 26, in the 11/12 Weight Room. Attached is information regarding Senior baseball player Jackman Bush (Ocean/ Monmouth Team) who is selected to play in this year’s Carpenter Cup baseball tournament sponsored by the Philadelphia Phillies baseball organization. 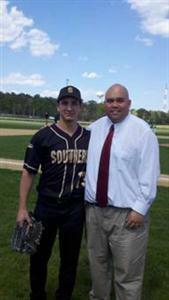 Congratulations to SRHS Baseball on defeating Pinelands 3 to 0 in the 13th Annual Doc Cramer Classic game played on Thursday, May 24, 2012. The win marks the 3rd year in a row Southern has won the Doc Cramer Classic. The Doc Cramer Classic was established in 2000. Out of the game's 13 year history Southern has 7 wins while Pinelands has 6 wins. 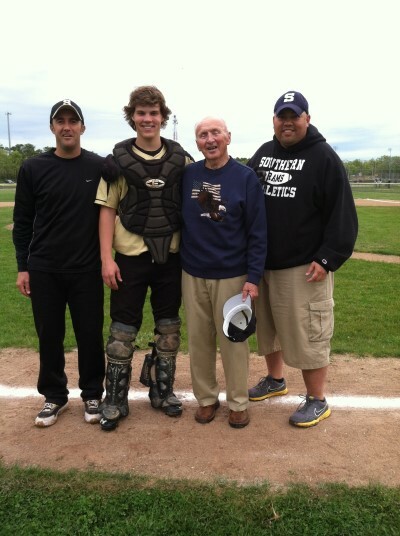 The 14th Annual Doc Cramer Classic will be played in May of 2013. Please come out and support the Southern Regional Softball & Baseball teams on their Senior Nights at Doc Cramer Fields on the following nights. Both Varsity games will be played at 7 pm. 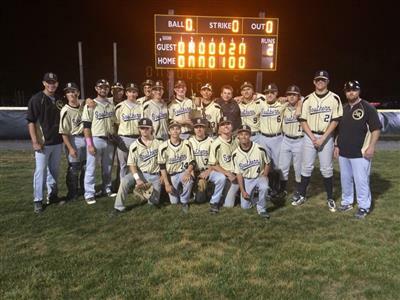 Congratulations to the SRHS Baseball Team on winning their first round Ocean County Tournament game at Manchester. The Rams (#14 seed) defeated (#3 seed) Manchester 5 to 4 in 11 innings. 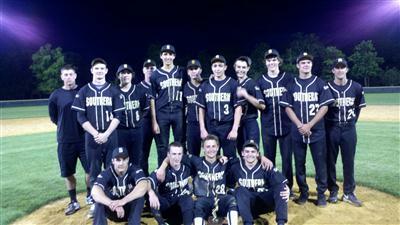 Southern will advance in the Ocean County Tournament on Tuesday, 5/8/12 at Brick Memorial (#6 seed) at 4:15 pm. 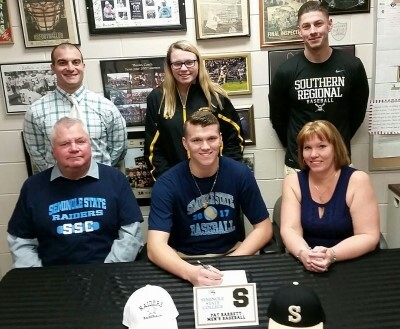 Good Luck to the Southern Baseball program this season. 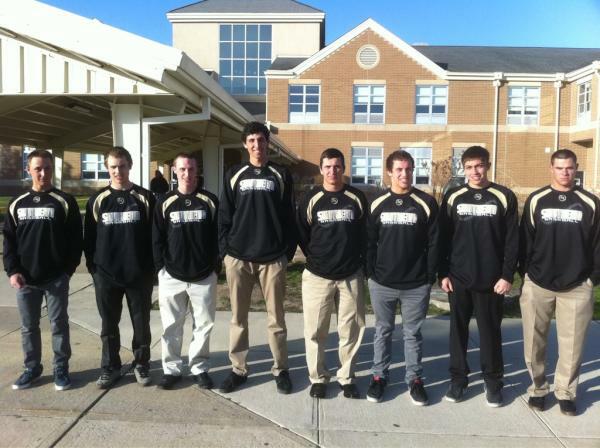 Pictured are the senior members of the baseball team headed to the Shore Conference Baseball pre-season Sportmanship dinner at Spring Lake Country Club on Tuesday, March 27, 2012. The team opens the season on Saturday, March 31, 2012 at home - 11 am vs. Howell. 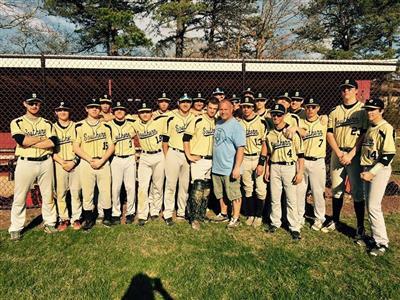 The Southern Regional Baseball Parents Association has arranged for prospective players to hit at Attack The Zone on McKinley Avenue in Manahawkin. The facility has two batting cages as well as four soft toss stations. Attached you will find the schedule. Players will be required to sign in. This is an exciting opportunity for our program. For the first time we have a local indoor facility that will enable players to train throughout the year. 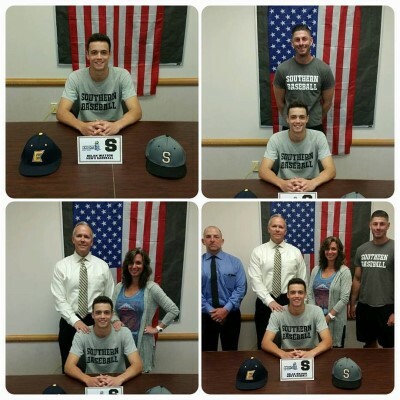 If there are any questions, please call John Galan at 973-280-1928. The High School Winter Workouts Begin on January 5, 2012. Attention Baseball Players and Parents! 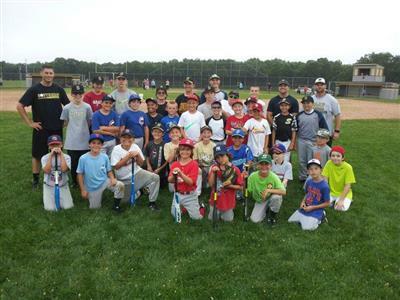 The following baseball players participated in the Stafford Little League 2011 Coaches Pitch Baseball Academy this past summer. Thank You!